The Interpretive Center is open Tuesday through Sunday from 10:00 AM to 4:00 PM. Parking and admission is free, but there may be a fee for scheduled programs. 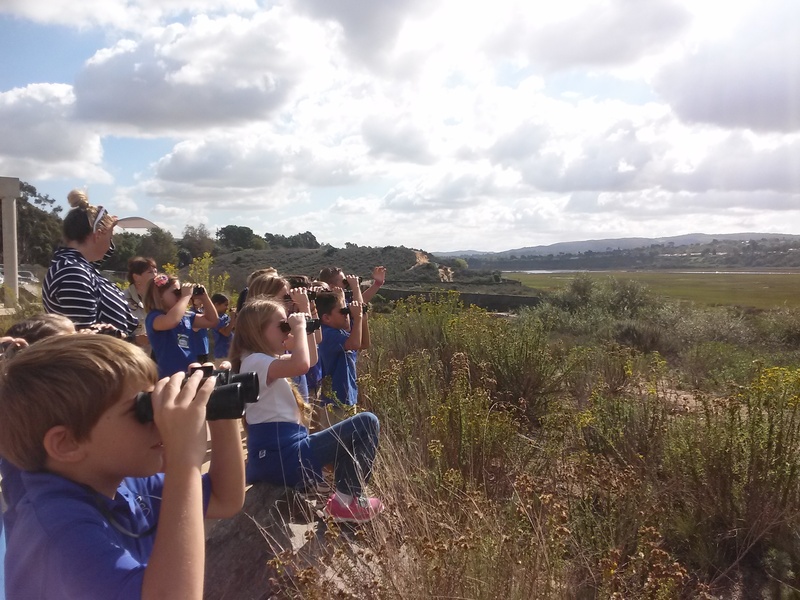 School programs are conducted by Newport Bay Conservancy volunteers on Tuesday mornings for Grades K-5. All aligned with California State Science Content Standards. Please call 949-923-2269 or email carissa.macias@newportbay.org for more information. Inside the Outdoors also conducts grade school programming at the Interpretive Center. For more information on their programs, visit their website. Family programs are offered on various days. They are designed to let kids learn about nature and have fun at the same time. Wild Tales – Fridays, 10:30 a.m. – 11:30 a.m. (ages 2-5) – Visit us for story-telling fun! After a story, learn more about the natural history of the Bay through crafts, hands-on activities and nature walks. Come prepared for exciting experiences! $5.00 per child and pre-registration is required by visiting letsgooutside.org. Kids Crafty Sundays – One Sunday each month, 10:00 a.m. – 3:00 p.m. (ages 3-12) – FREE activities in the Muth Interpretive Center classroom, each month with a different educational theme to explore. The activities are self-guided and may include hands on exhibits, outside hikes, crafts and more. No registration necessary.